IT IS not just shafts of golden sunlight from the Summer Solstice filling one of the region's most popular tourist attractions, the Capricorn Caves. The Caves can add another shining accolade to their shelf after winning gold in the tourist attractions category at the 2014 Queensland Tourism Awards. The award was one of 80 organisational awards and two individual awards doled out in front of 900 people at the 30th annual awards in Brisbane on Friday. 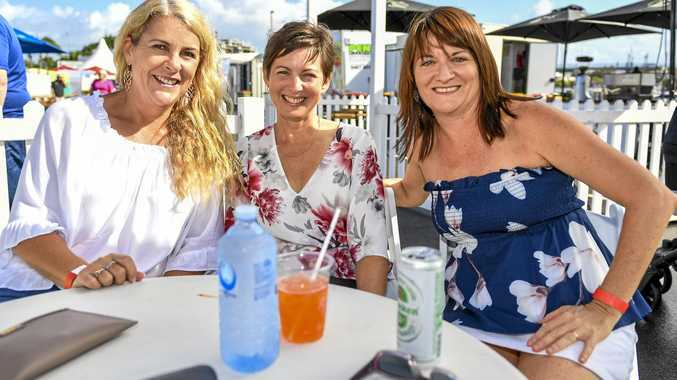 Queensland tourism operators paid tribute to the industry's dedicated individuals and successful businesses while reflecting on the past three decades during the ceremony. More than 180 nominations were received from entrants throughout Queensland. BIG4 Capricorn Palms Holiday Village was also an entrant, but in the tourist and caravan parks category. Peter Gash from Lady Elliot Island Eco Resort received the Marie Watson-Blake Award for Outstanding Contribution by an Individual. QTIC chief Daniel Gschwind congratulated the winners and other entrants. "Today, the industry employs more than 235,000 Queenslanders and is the second largest export earner for this state," he said. "Much of the credit for this success goes to the innovative businesses."